Comm Eye Health Vol. 18 No. 56 2005 pp 124 - 125. Published online 01 December 2005. President of CONAVIP, Former President of the Paraguayan Society of Ophthalmology, Urdapilleta 1257, c/ Dr. Pena, 1746, Paraguay. Paraguay established a National VISION 2020 Committee, officially recognised by the government, in 2002. The starting point was World Sight Day 2001, where different institutions jointly celebrated the day, and the Ministry of Health signed the VISION 2020 Global Declaration. This committee brought together previously diverse public and private institutions, each working on their own to address eye care needs, but with little coordination or shared purpose between them. 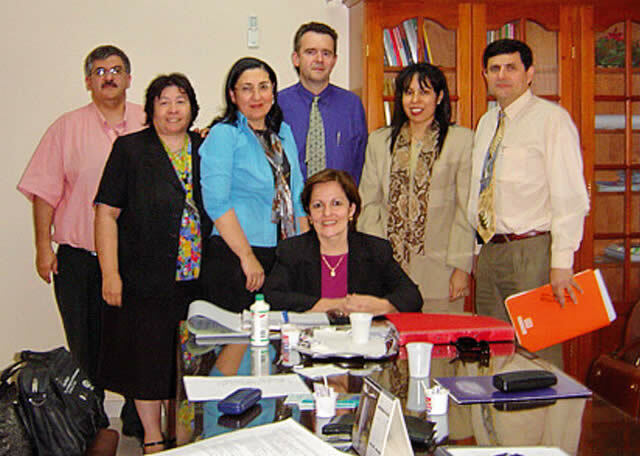 Working together under the name of CONAVIP (an acronym in Spanish meaning ‘Paraguay National VISION 2020 Committee’), CONAVIP includes representatives of ten institutions: Ministry of Health, Paraguayan Society of Ophthalmology (SPO), Ophthalmology Department of the National University of Asunción (UNA), Social Security Hospital (IPS) and Army Hospital, three local non-governmental organisations (NGOs) – Fundación Vision, Eye Bank Foundation and Santa Lucia Foundation, and two international development organisations – Lions and PLAN International. It was not easy to organise such a group. Most institutions were used to working in an isolated way and historical differences divided them. We needed to shift our focus from what each institution could do alone to what we could do together. This article describes some of the lessons we are learning about how to manage different groups to unite them behind the common goal of VISION 2020: The Right to Sight. Paraguay is a Latin American landlocked country, with a territory of 406,000 Km2 and approximately six million people. 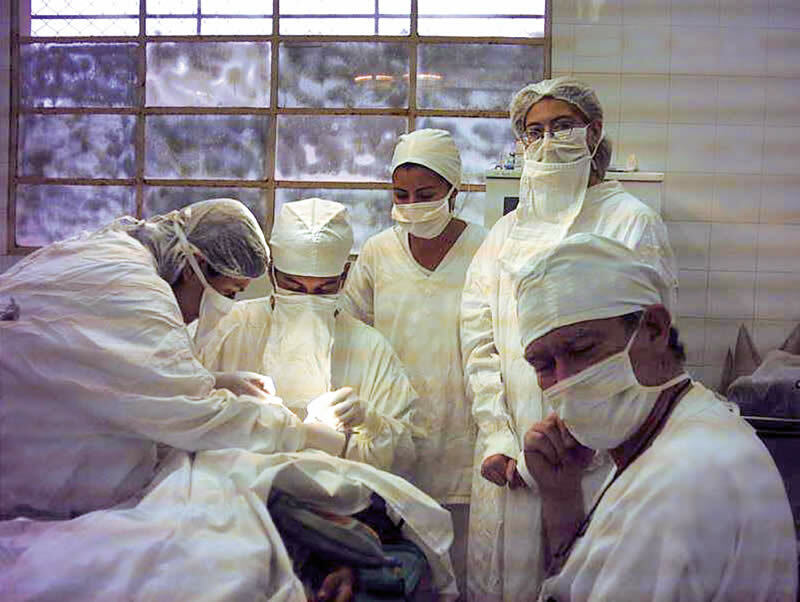 There are 160 ophthalmologists,1 85 per cent of them living and working in Asunción, the country’s capital city. The rural area, which represents approximately 60 per cent of the population, does not have a permanent ophthalmology service. The rural population has little access to eye health services due to economic reasons, ignorance about eye diseases or distance from facilities. The priorities for prevention of blindness are: cataract,2 glaucoma, diabetic retinopathy, retinopathy of prematurity, refractive errors and adequate human resources for the country’s needs. The only way we could hope to obtain results was by organising our VISION 2020 committee in smaller units. To develop a district level team approach, we focused on a programme activity to address the problem of uncorrected refractive errors in children in rural schools. The Ver Para Aprender (See to Learn) programme was conducted in 2003-2004 in four of the 17 country departments or states, (which equate to the VISION 2020 district level model). The departments Caaguazu, Guairá, Cordillera and Paraguari were selected for the first year. The CONAVIP Executive Committee provided leadership and coordinated the programme. To make this joint programme work, we needed to get the support of a number of people. First we signed an agreement with the Ministry of Education to teach the school teachers, from the chosen rural area, how to measure visual acuity. This was facilitated by the close collaboration between the Health and Education Ministries who share an understanding of the value of good vision to children’s learning. We had to win the support and enthusiasm of 1,131 teachers and helpers who were to be trained in the additional tasks of working with the Snellen charts, registration forms, leaflets and education charts. This was facilitated by the network amongst school teachers established by the international organisation PLAN International. Training was conducted within school hours and logistics were supported by PLAN. Added to this, teachers themselves were motivated as they recognise refractive errors to be a problem. They had never had this kind of programme before and they thought this was a very good opportunity for children with eye problems to be evaluated by eye care professionals. Ophthalmologists, residents and medical assistants were needed to examine children with a binocular visual acuity of 20/40 or less. This required the different organisations to motivate specialists to travel on two Saturdays of each month to examine the referred children and provide them with spectacles if necessary. In order to do their work, they needed supplies and equipment: autorefractors, slit lamps, applanation tonometers, lensometers, trial sets, ophthalmoscopes, retinoscopes and prism bars. Through the Ver Para Aprender programme, 39,815 children were screened, 4,838 (12 per cent) of them with binocular vision lower than 20/40 were referred for consultation and 900 (2.2 per cent) of them received spectacles provided by PLAN International and a local business house. We also performed 180 operations for strabismus and congenital or traumatic cataract, using Ministry of Health and the Social Security Institute facilities in smaller cities. The ophthalmologists and ophthalmology residents, members of the Ophthalmology Society, nurses and medical assistants were from different institutions and the surgical instruments were borrowed from each participating institution. The supplies were provided with the financial support of PLAN International who allocated US$195,000 for the programme, through its Japanese branch. On the people management side, the greatest achievement was to demonstrate how diverse groups could mutually benefit from working on a joint VISION 2020 programme. The CONAVIP was able to draw on the expertise, personnel, equipment and established networks of its ten members. Individual members were able also to benefit from the group in terms of experience gained, credibility, opportunities for fellowships and training. Another example of collaborative working was the visit of the ORBIS flying hospital in July 2004. This was coordinated by the SPO and CONAVIP with the aim of providing continuing medical education for ophthalmologists, residents, nurses, ophthalmic assistants, anaesthetists and bioengineering technicians. At the same time, the Eye Bank Foundation work was enhanced with the donation of a specular microscope. The National Hospital of the Ministry of Health had its argon laser unit repaired at no cost to the country. Through CONAVIP, ORBIS is now assisting the Ophthalmology Unit of the UNA to develop a comprehensive eye care programme in the Chore district, which is one of poorest and most remote in the country. Future priorities for CONAVIP are to work on the National Eye Plan, currently underway. Arising from the experience of the Ver Para Aprender programme, recommendations have been put forward to routinely use teachers to recognise refractive errors. It is hoped that vision testing will be included in the curricula of teacher training colleges, beginning in 2006. The committee faces the challenge of how to achieve greater equity in the distribution of ophthalmologists. With a ratio of 28 ophthalmologists per million population1 Paraguay is not short of ophthalmologists. Currently, many young ophthalmologists are underemployed in the capital city. Ideas for encouraging them to work in the underserved rural areas include introducing a compulsory rural placement in the third year residency programme, introducing monetary incentives to work in rural areas, and establishing a continuing education and networking programme to relieve the professional isolation of working in more remote areas. From the very beginning, we decided to respect the independence of each institution, letting them continue with their work, while coordinating activities to conduct special programmes related to our eye health priorities. We had to best use what each of them could provide: human resources, appropriate equipment, consumables or surgical supplies. We have also realised that, as a group, we can work towards making a fully accountable and transparent programme, which can gain the respect and trust of international partners. The committee also gained the respect of the Minister of Health in office at the time who was impressed by the willingness of scientific bodies to get involved with ‘social work’. Had we kept on working in an isolated way, none of these achievements would have been possible within the timeframe. When different groups work together to establish a programme, international help is more easily available. In a country like ours, unfortunately known for its level of corruption, it is important to demonstrate that there are people interested in developing united efforts to obtain a comprehensive prevention of blindness programme. 1 The World Health Organization. National VISION 2020 Implementation Data. The Americas. August 2005. www.who.int/pbd/blindness/vision_2020/regional_data/en/ (accessed November 1, 2005). 2 Duerksen R et al. 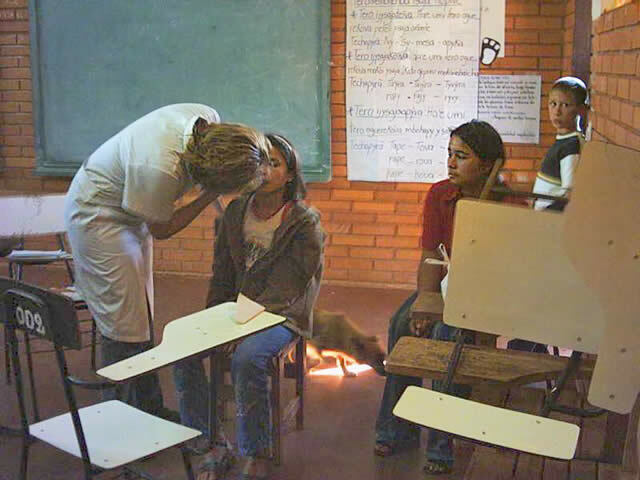 Cataract Blindness in Paraguay: results of a National Survey. Ophthalmic Epidemiology, 2003. Vol 10, Nº 5 349-35.